There are two main reasons why people don’t switch from regular incandescent bulbs to energy-saving compact fluorescents: light color quality and erratic dimming. 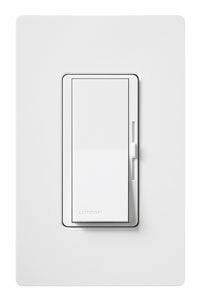 The color issue has been largely resolved with warm-toned bulbs (look for a Kelvin rating between 2700-3000K) and now Lutron has introduced new dimmers designed to resolve common dimming issues, the Diva/CL wall dimmer ($40) and Credenza/CL plug-in lamp dimmer ($15). The problems arise when you use a dimmable compact fluorescent or LED bulb with a dimmer made for incandescent bulbs. Sometimes bulbs will turn off before the slider reaches the bottom. Or after being dimmed to a low light level and switched off, sometimes bulbs will not turn on until the dimmer’s slider is moved up. And whereas incandescent bulbs may dim or flicker when an extra small appliance overtaxes your home's electric grid, a CFL or LED bulb can actually turn off or flicker excessively when dimmed to a low light level. The new Diva/CL and Credenza/CL dimmers dimmers use Lutron’s HED Technology, whose advanced dimming circuitry is designed to combat these problems. And, both dimmers are UL listed to work with a broad range of dimmable CFL and LED light bulbs, as well as with halogens and incandescents. The new models will be available this fall at select home improvement centers and LutronStore.com. Looks interesting - I will be interested to hear how people like it. Hopefully anyone that learned about it here can post back with results after they buy it. SUZANNE—THE CORRECT WORD IS “KELVIN”, not KALVIN. $40 for a dimmer switch? Are you insane? The CFLs I have bought have been CRAP. Burned out way before they should have, ugly color, etc etc. The new ones are not much better. 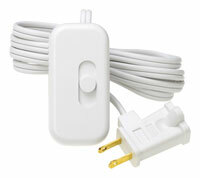 LED’s are great if you can find one that fits your fixture properly, they are not all plug and play. And I saw zero difference in my electric bill, even though the majority of the house is now cfl or led. Compared to heat, a/c, and appliance use this is just insignificant. And the hassles are not worth it. The products are definitely improving, but agree they’re not perfect substitutes (sometimes far from perfect). We will likely have a story soon that delves into the cost equation in more detail.